Hi Kit!!! We are so excited to have you join our tours and to chat with you about SEE ALL THE STARS!! In YA, I go back and back and back to Lauren Oliver’s Before I Fall. It’s perfect! Right now, Riverdale. Of all time, close tie between The O. C. and My So-Called Life. Nothing Compares 2 U by Sinéad O’Connor (by way of Prince). 6. Name 3 fictional places you would move to in a heartbeat. 7. What were your favorite books while growing up? Ann M. Martin’s The Babysitters Club. I devoured that series. I was also a huge fan of William Sleator’s books, especially Interstellar Pig; The Giver by Lois Lowery; and Beauty by Robin McKinley. 9. What do you find yourself “Fangirling” over? Other authors’ books! 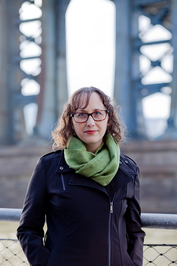 Right now I’m all about Monday’s Not Coming by Tiffany D. Jackson, The Cheerleaders by Kara Thomas, The Hazel Wood by Melissa Albert, and American Panda by Gloria Chao. 10. What recent book would you recommend to our YA fans? I just finished reading Lynn Weingarten’s Suicide Notes from Beautiful Girls, and I’d highly recommend it to readers on the lookout for lyrical thrillers with messy friendships between teen girls! 1. Could you tell our Book Addicts a little bit about SEE ALL THE STARS? Of course! See All the Stars is my debut YA thriller. It’s about four best friends, one beautiful boy, and a deception that ruined everything. The story takes places in two timelines that alternate between the past—leading up to the event that tore Ellory’s group of friends apart—and the aftermath. The “Now” timeline picks up on the night before senior year begins, after Ellory has been suspended from school (for her role in said event) and has spent the summer away, off social media, and otherwise disconnected from her friends and classmates. And now she has to return to high school, totally alone and consumed by guilt and regret. 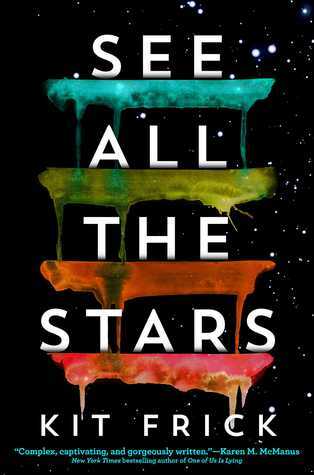 If you like stories about first love, intense and messy friendships, secrets, and lies, See All the Stars is for you! 3. Can you tell us three things about Ellory THEN and NOW? Ellory wants to be seen. Ellory is falling in love. Ellory is filled with guilt. 4. Tell us your favorite quote from SEE ALL THE STARS. There’s a scene toward the middle of the book (in the “Then” timeline) when Ellory and her friends hold an epic dance movie marathon. That scene was super fun to write because I wanted to be there watching Step Up and eating all the snacks! 5. If you had to pick one song to be the Theme Song for SEE ALL THE STARS– Which one would you pick? Imogen Heap’s Hide and Seek. 6. Are there any recommendations you could give your readers to be in the “perfect mood” to read SEE ALL THE STARS (specific music, snacks…)? For tunes, there’s a fun See All the Stars playlist available on Spotify, which is comprised of songs and artists from the pages of the book! So you can totally listen along. My next book is also a stand-alone YA thriller, called All Eyes on Us. It’s about two girls under unbearable pressure from their families and communities—and what happens when an anonymous texter threatens to uproot their lives. All Eyes on Us is scheduled to release in May 2019, also from S&S/McElderry, and I’ll be able to share a lot more later this year! Thanks so much for chatting with us!! I can't wait to read this book. P.S. the Mirage tour schedule is posted for this book in the rafflecopter. Thanks for the heads up!! It's fixed now!